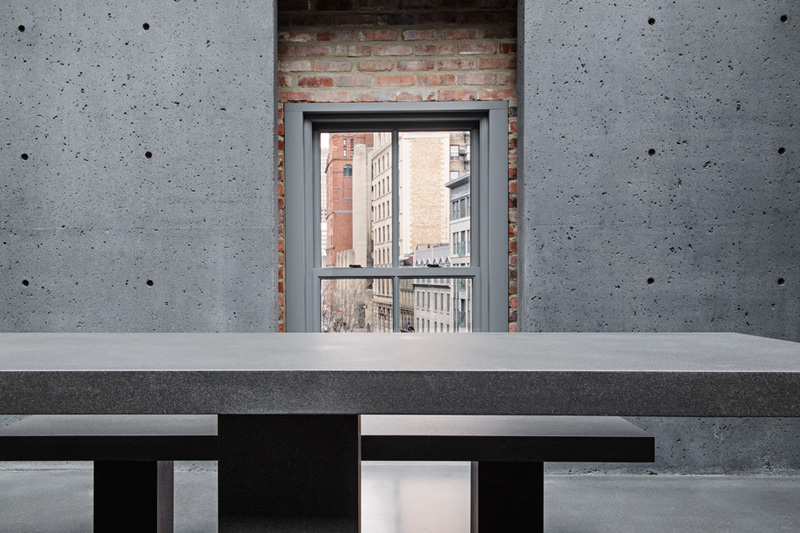 The immense concrete picnic table and benches in the top-floor café at Ssense in Montreal were prefabricated in Italy. 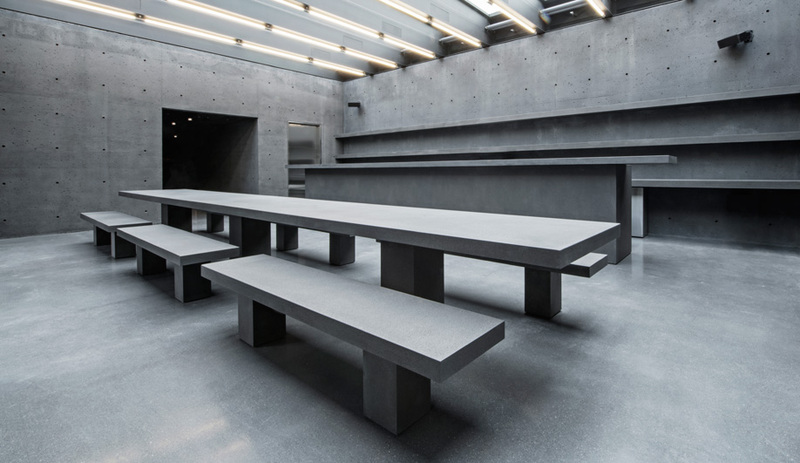 The austere store design was conceived by David Chipperfield Architects’ Milan office. After 11 years in business, the Montreal-based fashion retailer Ssense decided to overhaul its website, settling on what was, in 2014, an early example of web brutalism, an aesthetic that shuns conventional frameworks in favour of stripped-back design. Simple and uncluttered, such pages load more quickly, fit all screens and are easy to navigate and digest. 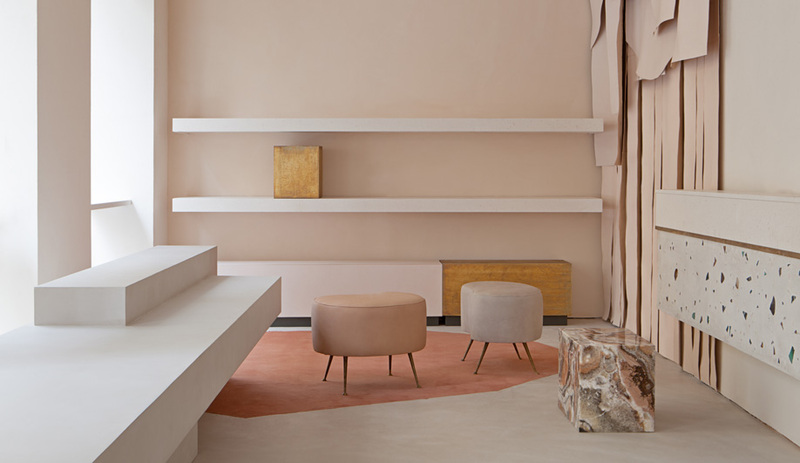 The following year, Ssense (pronounced “essence”) commissioned David Chipperfield Architects to design a new hometown flagship. 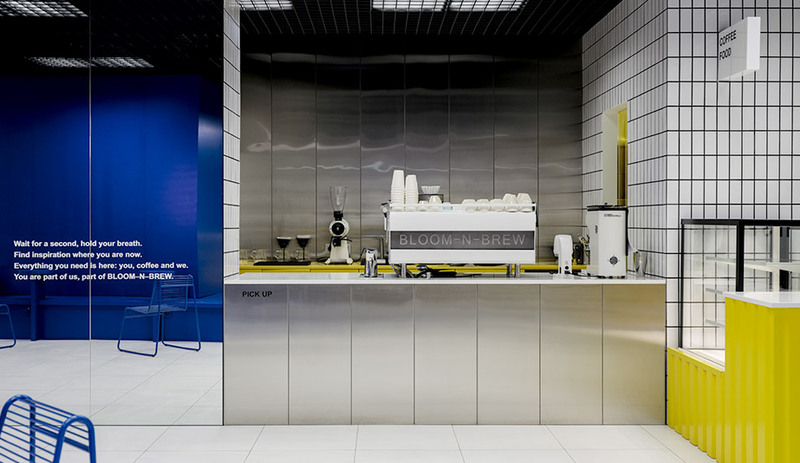 The retailer asked the architects to recreate its online ethos in physical form. 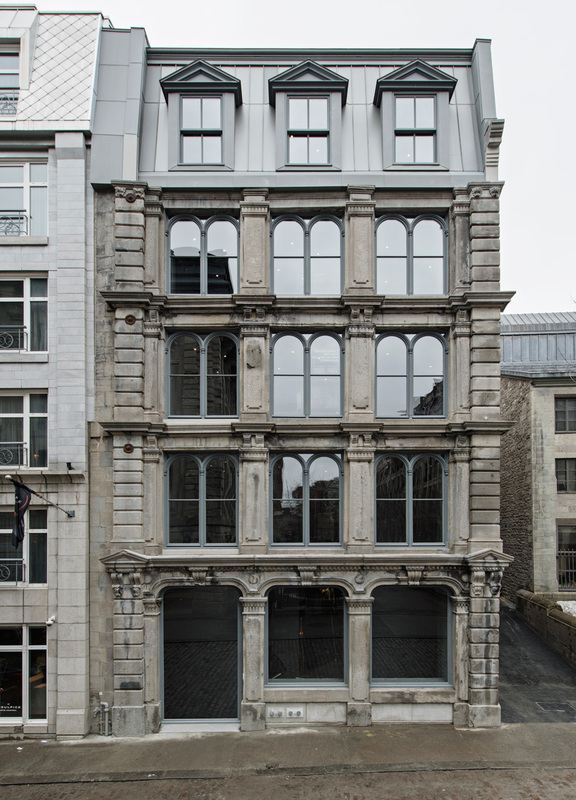 Walking by the retrofit Second Empire building in Old Montreal, passersby have few hints of its rigorously spartan interior. 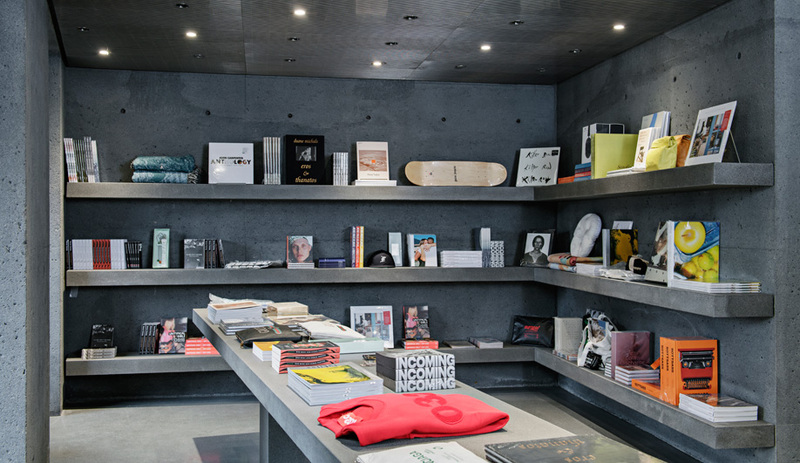 The store’s poured-in-place concrete walls were sandblasted with glass beads to give them their rough-hewn look. 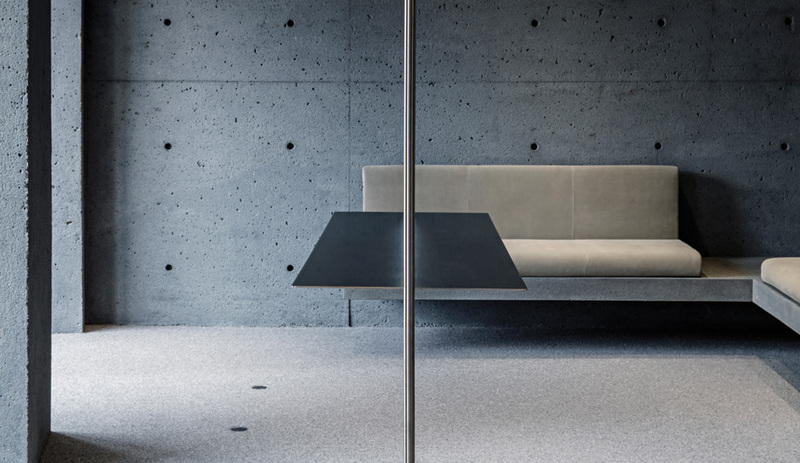 Among the challenges, Chipperfield’s design called for lowering the ground floor so that the front door – 3.5 metres high by 1.85 metres wide – would be at grade with the sidewalk. On the top floor, a third dormer was added to the zinc mansard roof to create a visual alignment with the facade’s other openings below. The merchandise at Ssense is ruthlessly curated. Although walk-in customers are welcome, the store is primarily geared to online clients who visit by appointment. 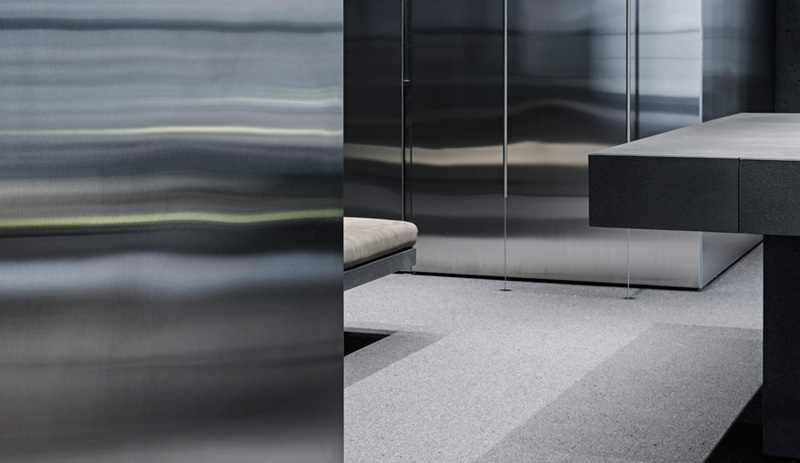 Stainless steel clothes racks attached to the floors and ceilings by cables are as streamlined as their surroundings. 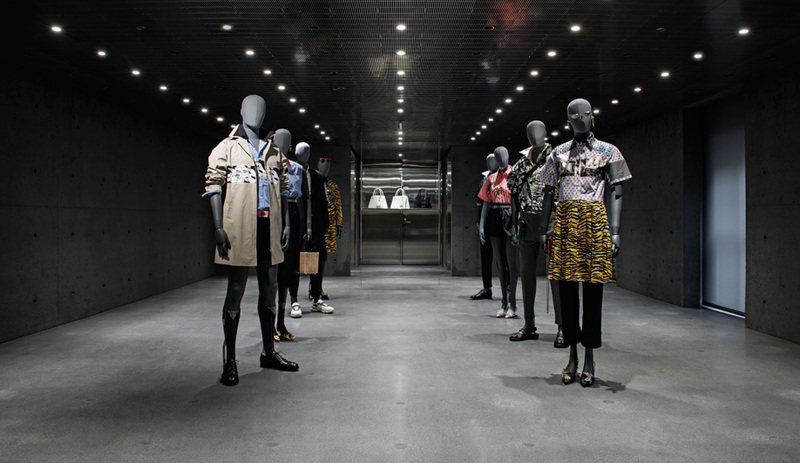 Inside, there is little about the store – from its unrelenting austerity to the anemic merchandising – that echoes traditional retail models. 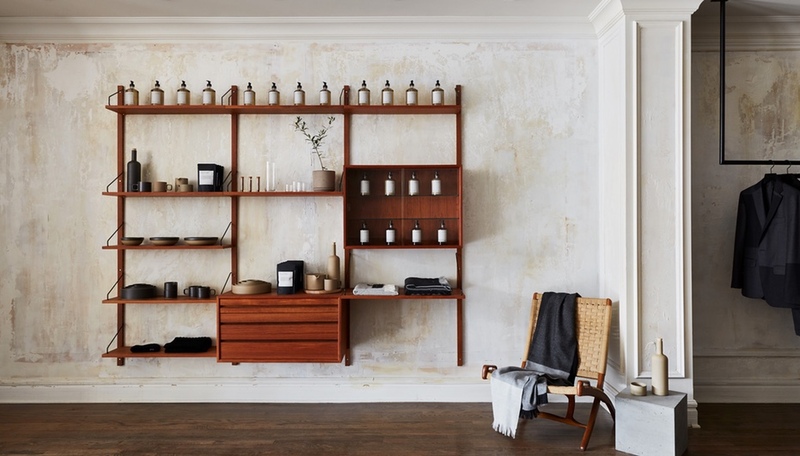 Although walk-ins are welcome to meander the cool, almost damp passageways and to browse the sparsely furnished display spaces (selected merchandise is arranged in floating glass cases and on stainless steel racks that are anchored by cables to the ceilings and floors), the place is tailored primarily to by-appointment guests. Private shoppers are ushered into one of eight change rooms across two floors. Selected garments are delivered to them from the basement via a vertical lift module. “You cannot be more custom-made than this project,” Schweitzer says. 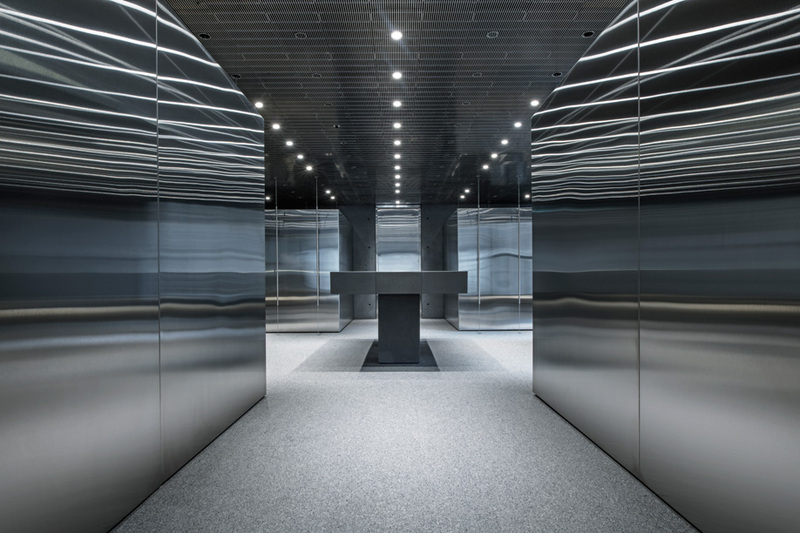 “It was very purpose-built.” To wit: eight change rooms dedicated to private shopping sessions and akin to giant walk-in closets occupy the entire third and fourth floors of the building. With as little as 24 hours’ notice, online clients can set a time to come in and try on items from their wish lists. 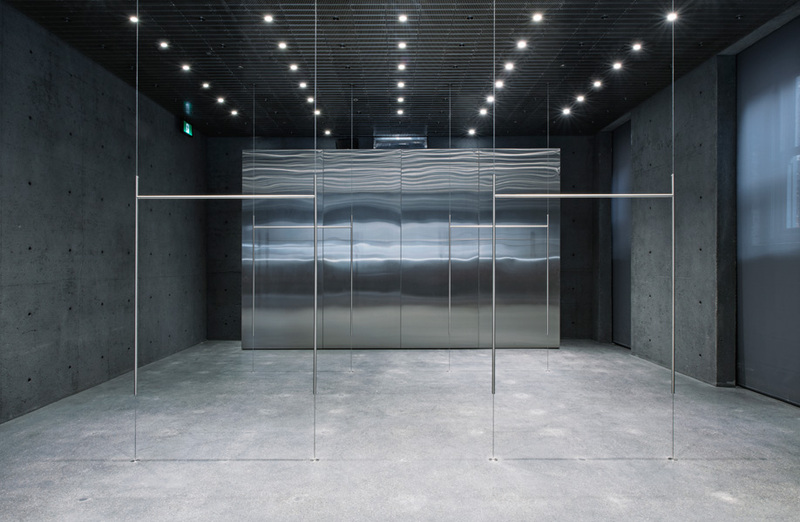 Once shoppers are ensconced in their personal sanctuaries, a vertical lift module (VLM) delivers desired garments from the basement to a back room on the appointed floor, where Ssense’s stylists then pick them up and transport them to the clients in their change rooms. 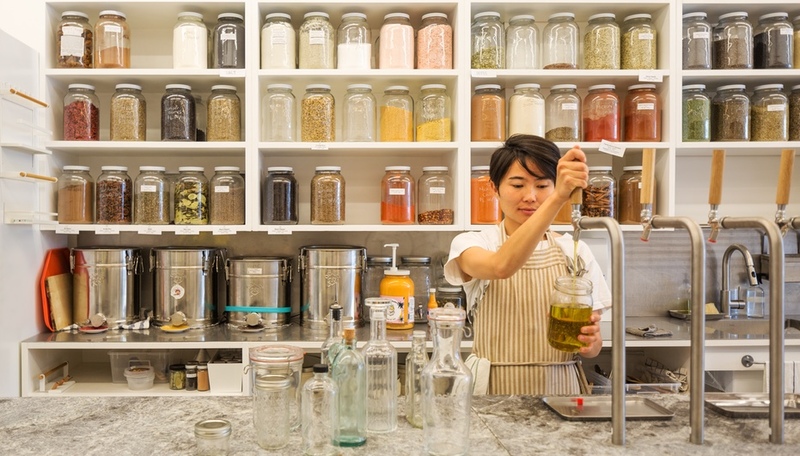 The process mimics the ease and speed of shopping online.